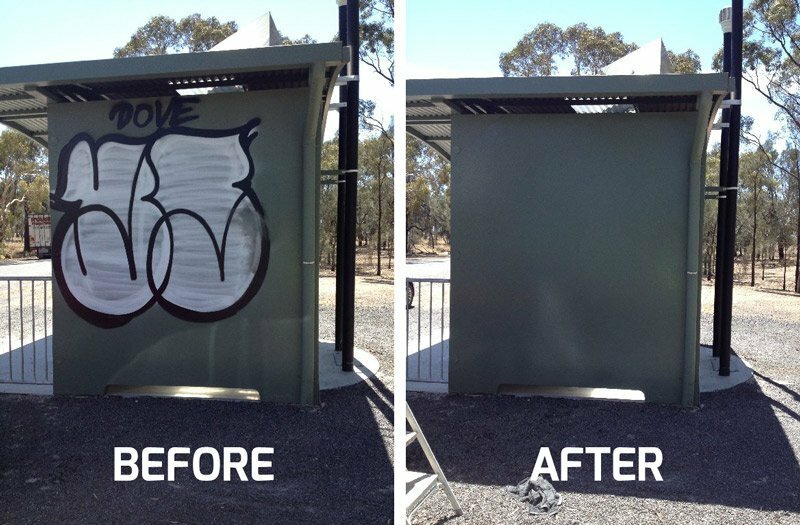 Ross writes that he has tried many graffiti removal products and was unhappy with all of them – until he used Purasolve Graffiti Remover. While other products did remove the graffiti they, unfortunately, also removed paint and damaged surfaces. This meant additional time, expense and effort was required to repair and repaint structures. Before: The side of this public building was covered by a large black and white graffiti tag. After: The graffiti has been completely and easily removed, without damaging the painted surface. Ross used half a litre of Purasolve Graffiti Remover to effectively clean the entire wall in the photo. He simply soaked some heavy cloths in a bucket containing the product and wiped down the wall. Cloths were wringed out and changed when saturated with paint. Finally, he wiped over the whole area with a clean cloth, dampened with Purasolve Graffiti Remover. Ross was very happy with the effectiveness of the product and the final result. He was also happy Purasolve Graffiti Remover did not damage the surface of the wall. “I can get graffiti off colorbond without damaging the colorbond at all. It is a fantastic product.” Ross, Purasolve Graffiti Remover customer. Purasolve Graffiti Remover is a high-tech cleaning compound designed to replace dangerous solvents for graffiti removal. It is a safe alternative to hazardous industrial solvents such as MEK, Toluene, Acetone and Xylene. Purasolve Graffiti Remover is extremely quick and easy to use. Simply wipe on the product with a heavy cloth to remove tough markings. The low evaporation formula extends contact time with the surface being cleaned. A little product cleans a large surface area. 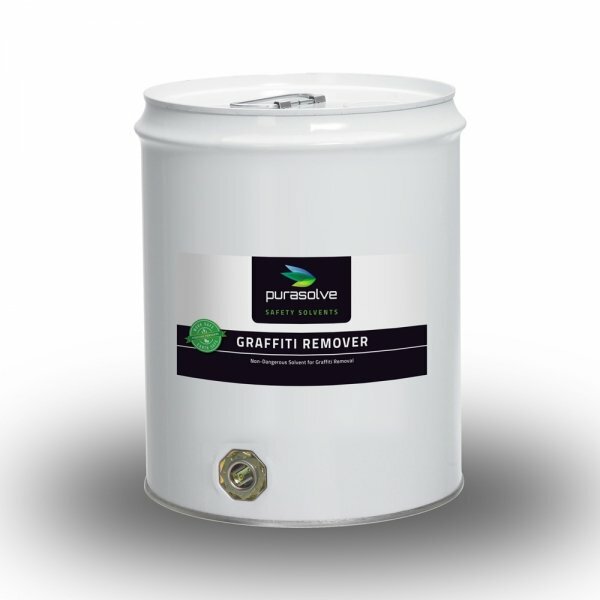 Purasolve Graffiti Remover will not damage a wide range of flat surfaces. This means re-painting after removing graffiti is not necessary. Purasolve Graffiti Remover has no Hazchem rating so there is no need for special handling transport, storage or disposal requirements.